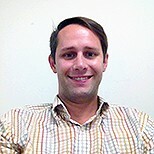 Duncan Gromko works on agriculture and forestry projects at the Inter-American Development Bank. He previously worked on public health issues in Peace Corps Morocco and for the World Resources Institute monitoring deforestation related to palm oil. He earned his master's degree at Johns Hopkins School of Advanced International Studies studying environmental economics. Can Latin America do palm oil right?